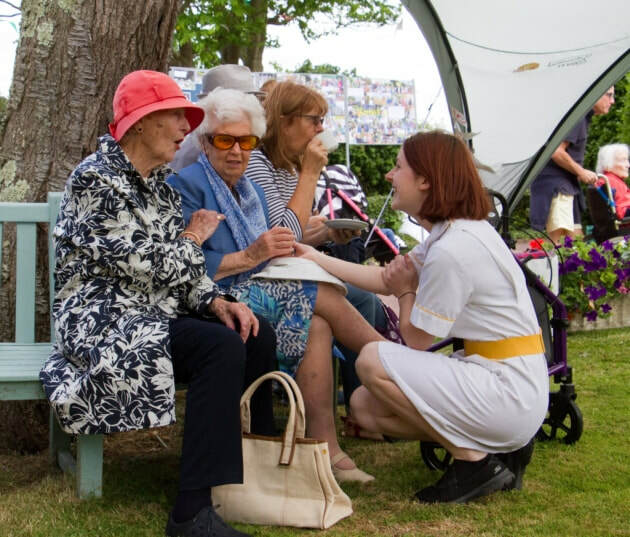 Social events are a big part of life at The Old Vicarage and if we can we like to include relatives, friends and people from the local community. Residents are encouraged to invite their relatives and friends to our social occasions, and especially to join in our traditional events such as our Annual Charity Coffee Morning, Harvest Festival Service and Supper, and, of course, Christmas celebrations. We have a regular sherry party on a Sunday and celebrate birthdays and other special occasions together. Every month we have a themed day where the dining room is decorated, and we have a special themed menu. This gives everybody a chance to enjoy the day and try some food that they might not usually eat. Many of the themes are repeated on a seasonal or yearly basis, and include Valentine's Day, St Patrick's Day and Apple Day. On all of these special occasions the sherry and wine is provided. 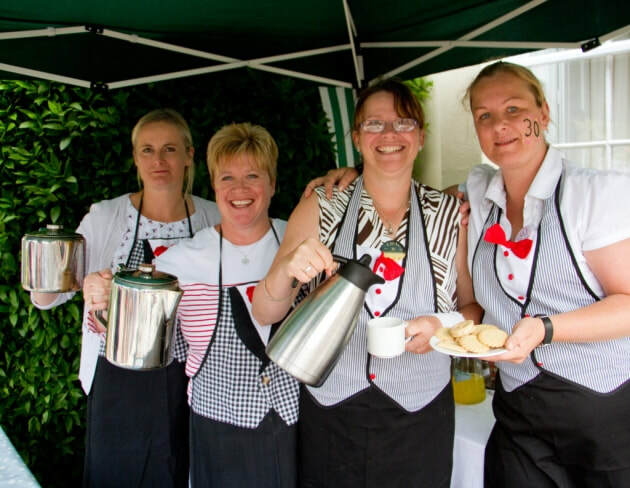 In June of each year the staff and residents of The Old Vicarage host a coffee morning in the garden. 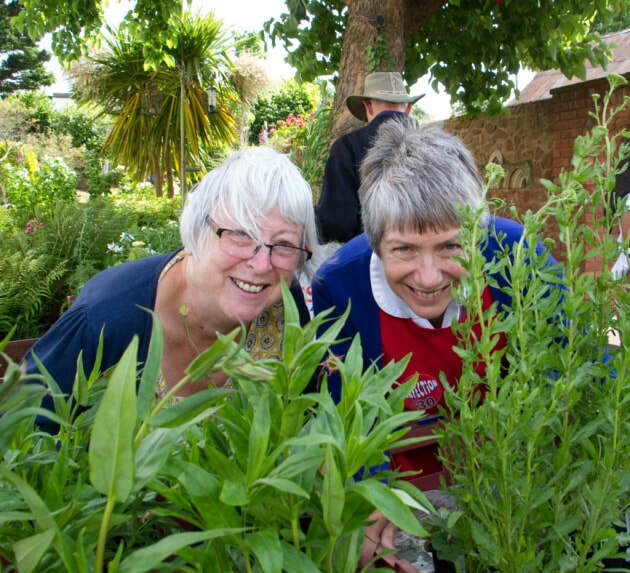 This fundraising event for the village primary school and a chosen charity has been held every June since 1988 and is well rooted in the village traditions. 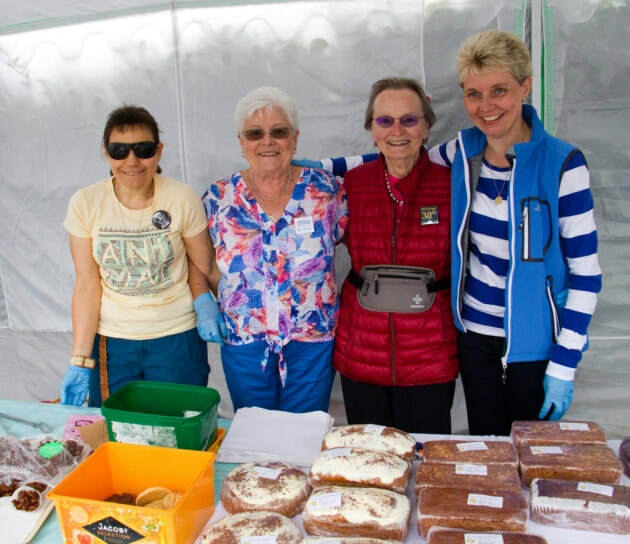 Well over two hundred visitors from the local community attend, with residents and staff manning the stalls and serving tea and coffee, whilst visitors enjoy a wander around, buying cakes, gifts, home produce, plants and arts and crafts including some made by the residents of the home. 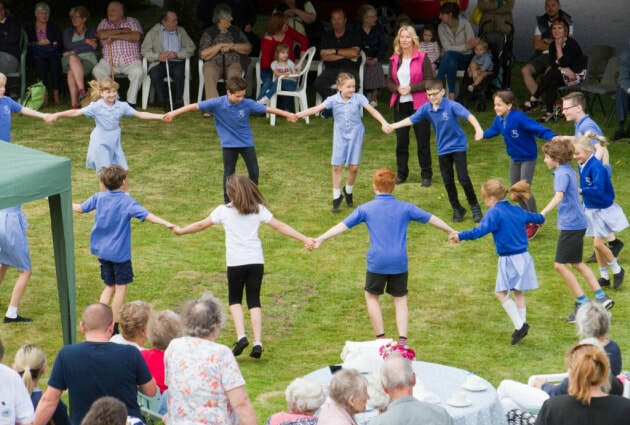 Visitors also enjoy taking refreshments in the sunshine on the front lawn and the highlight of the morning is the country dancing performed by children from Otterton Church of England primary school. The competitions usually include guess the weight of the cake, and guess how many pieces of pasta in a jar, and all raffle prizes are generously donated by both local people and businesses, and include cream tea vouchers, day passes to local attractions, bottles of wine and baskets of fruit. 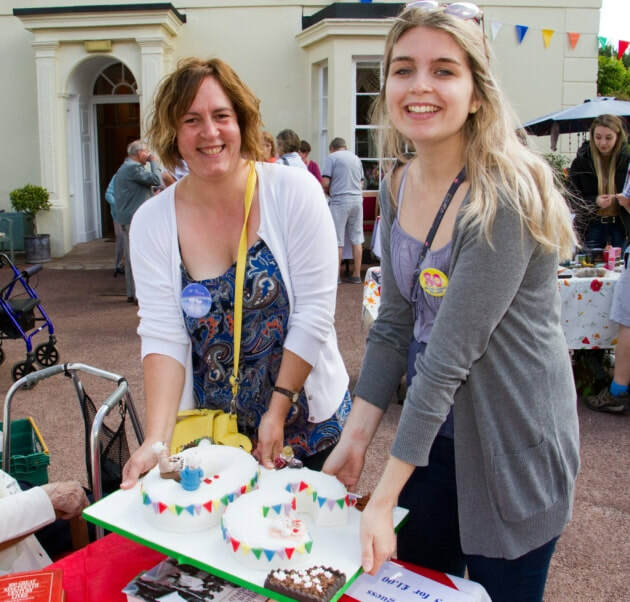 At our 30th anniversary event we raised £2,400; as always half of this will be given to Otterton Primary School, with the other half being split between two local charities chosen by our residents. The primary school will get £1,200 and both the RNLI and Millwater School will get £600 each. 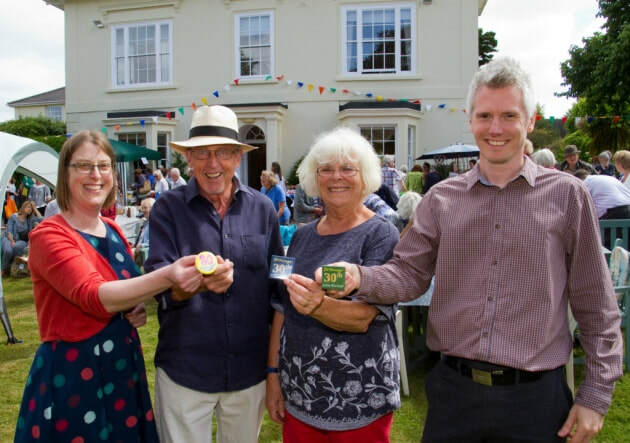 More than 200 people attended an annual garden fete hosted by an Otterton care home.